Bulk Barn Canada has a coupon that will save you $4 off your total purchase of $10 or more before taxes. 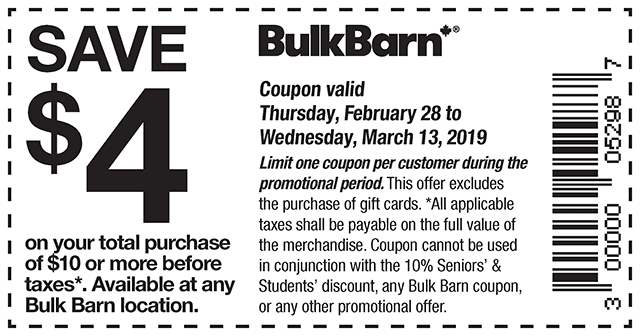 This coupon, shown above, is valid until March 13 2019. No need to print this coupon, just show it on your mobile device. Bulk Barn is just too expensive, no matter how many coupons this company offers.